All trails incl. Tiefbrunnau Loipe are prepared new. Due to the strong wind, please take care that there could be some snow in the tracks. 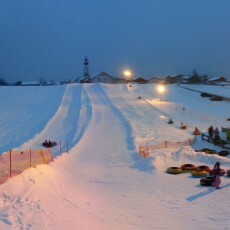 Also the Snowtubing was able to open again. Opening times (31.01. – 22.02.2015): daily open from 10 a.m.
Flood-light: Friday & Saturday until 9 p.m. / Sunday until 8 p.m.
We wish a lot of fun and a nice week-end!